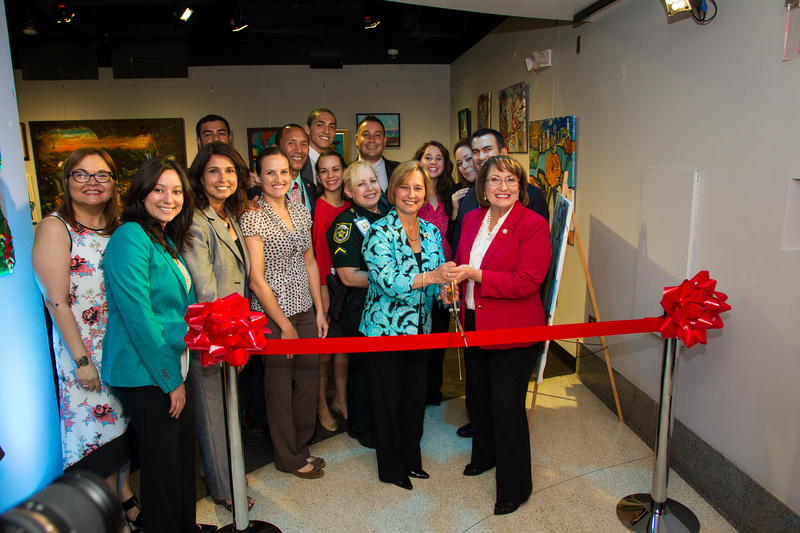 Orange County Mayor Teresa Jacobs recently hosted a celebration at the Orange County Regional History Center in honor of Hispanic Heritage Month, which runs from Sept. 15 through Oct. 15, 2015. The celebration included the unveiling of a Hispanic art exhibit, cultural dance performances and Hispanic food. The Hispanic Heritage Committee of Greater Orange County (HHCGOC) coordinated and organized the festive event, which was attended by Orange County Commissioners, local officials, employees and hundreds of citizens. The Hispanic Heritage Committee of Greater Orange County is a volunteer-based organization founded in 1999 with the purpose of providing opportunities that promote and highlight the contributions made by individuals of Hispanic descent in the community. A ribbon-cutting was held for the Hispanic art exhibit, which is comprised of pieces created by local Hispanic artists, and it will be on display at the History Center throughout October. The works follow several historical, cultural and religious themes in a variety of artistic media. The HHCGOC and Orange County will continue the celebration of Hispanic Heritage month by hosting Orange Fiesta on Saturday, Oct. 10 at Blanchard Park, 2451 N. Dean Rd., from 11 a.m. to 3 p.m. Guests of Orange Fiesta in the Park may enjoy a variety of treats from food truck vendors, live musical performances, and access to resources from community partners and service agencies. Photos from the kick-off event may be found on Flickr for use by the media.